Elie Saab Le Parfum Eau De Parfum Intense is a magnificent aroma. 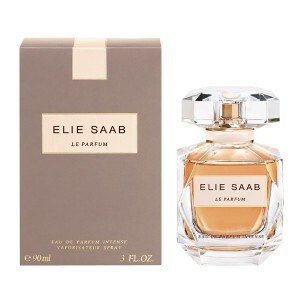 Elie Saab Le Parfum Eau De Parfum Intense 90ml. Eau De Parfum - Magnificent aroma of the best masters of perfumery art of France was established in 2013. He first notes fascinating and brings the world of tenderness, love and passion, which is always a springtime atmosphere and everything bathed in soft sunlight. Refined, elegant and seductive perfume composition emphasizes femininity and owner bestows its energy freedom. Perfume Elie Saab Le Parfum Intense starts sounding unsurpassed orange color, which gradually subsided, giving way to a magnificent duo of ylang-ylang and rose honey. Intoxicating compound amber and patchouli fragrance completes, leaving the skin a delicious fragrance of tenderness and sensuality. This is a new eau de parfum for women, created by designer Francis Kurkdjian and launched the Lebanese Elie Saab fashion house in the course of collection, reflecting the beauty of the sun's rays at different moments of the day, in 2013. Intense perfumes are a group of oriental floral bouquets, they tell their heroine a magical moment comes dusk, when the last gleams of sunshine say goodbye to the Earth until the morning and fall asleep. Fans of the fragrance graceful and gentle, sensual and intoxicating beautiful, fragile and romantic. Perfume is packaged in a glass bottle, reminiscent of precious crystal. 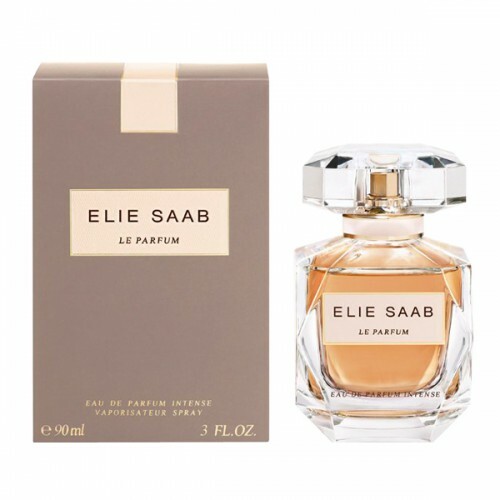 Pyramid Elie Saab - Le Parfum Eau de Parfum Intense head note shimmers orange blossom; middle notes: rose honey and ylang-ylang; Base notes: amber and patchouli.